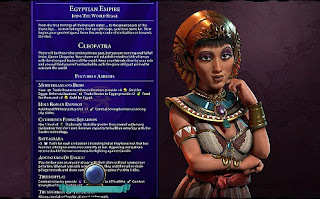 Have you already explored all civilizations and all types of winters in Civilizations 6? Then there are now more features through mods. The very extensive content of the full version has already integrated many gameplay ideas, which were available only as mods in the predecessors, into the game, and yet there is something missing or reinvented. The best mods for Civilization 6 can be found here. 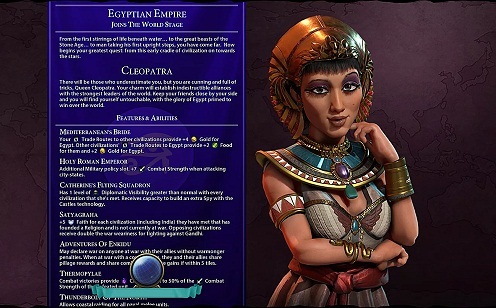 A mod puts the balance of civilizations out of action and gives Cleopatra equal to all of them. The daughter of the Nile becomes a true goddess and can take advantage of all the benefits. Not only does it has access to all special units in every epoch, but it also receives almost infinite bonuses ... actually everything. You can use this mod only in singleplayer mode, since everything else would simply be unfair. With this mod you specifically take into the time of Civ 6, and every area of the game is affected. Civilization, technology, politics and districts in Civilization 6, everything will be a time-boost to help you overcome the long-winded epochs and focus more on the mid and end game. The tedious laps in the beginning go faster and the time is getting slower from the middle to late part of a game. There are new policies, which can have dramatic consequences, which will shift the focus of Civ 6 back to these features. Actually a classic and yet not part of Civ 6 is the original world map. Instead of choosing between the continents and the islands, you can play with this mod on the real earth. 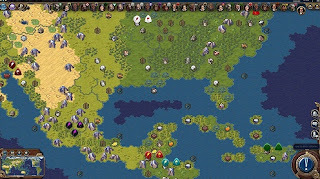 This not only gives you an advantage in exploring the map, but you can also feel at home with each civilization. If you are able to play the real positions of the peoples, it can be quite narrow, especially in Europe. In this case, especially Teddy Roosevelt would have a good chance, as there are no other peoples on his continent (apart from a few early Vikings or late Europeans).